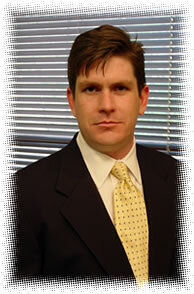 James Boone Reed was born in Paducah Kentucky on September 11th, 1970. 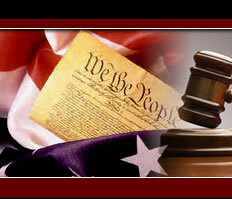 Mr. Reed is a fifth generation Attorney, and is licensed in Kentucky State and Federal Courts. Education: Graduated from The McCallie School of Chattanooga Tennessee in 1988; Ohio Wesleyan University (B.A. 1992); Thomas M. Cooley Law School, Lansing Michigan (J. D. 1999). 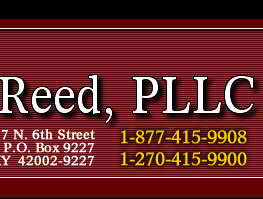 After graduating from law school, Mr. Reed worked in a private law firm practicing family law, personal injury, general civil litigation and criminal law. After more than a year in private practice he joined the Department of Public Advocacy (Public Defender’s Office) and worked there representing indigent clients in criminal misdemeanor and felony cases for 2 years. 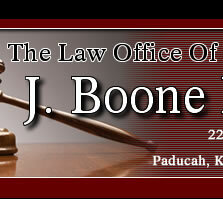 Mr. Reed is a member of the McCracken County Bar Association, The Kentucky Bar Association, the American Bar Association, Kentucky Association of Trial Attorneys, and the Kentucky Association of Criminal Defense Attorneys.